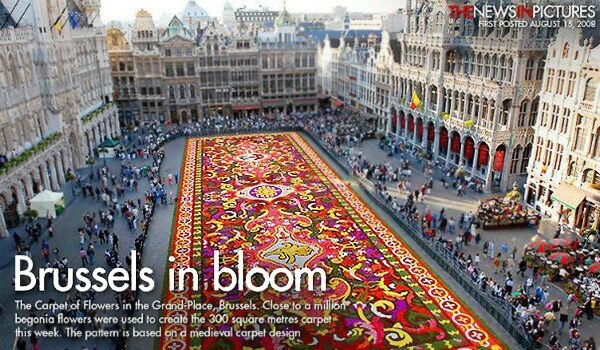 Brussels Biennial Flower Carpet – Nobody loves a beautiful carpet as much as we do here at the Nazmiyal Collection of antique rugs in New York City. So, what better way to share this passion for our favorite home furnishing and art form than with the Belgian beauty that is the Brussels Biennial Flower Carpet. Every two years for the past 40 years, the city of Brussels has drawn in quite the crowd of artisans, architects, urban planners, designers, and home furnishing lovers to celebrate the unveiling of their notorious carpets hand-crafted entirely from grassy turf and multi colored flowers, begonias to be exact. 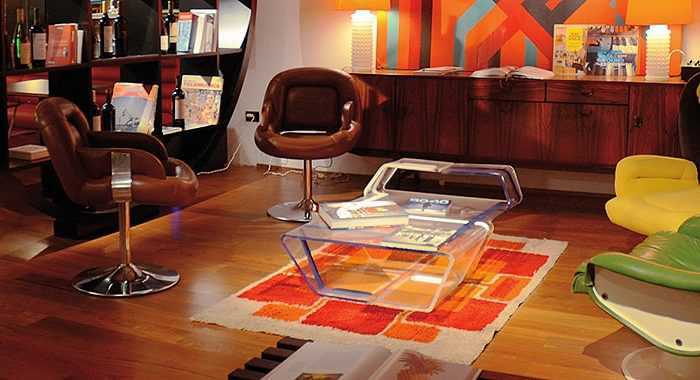 This floral tradition started in 1971 and still continues today displaying ethereally designed carpets with styles ranging from medieval to art-nouveau. This biennial event is flawlessly designed ahead of time and displayed in all its perfection in the midst of Brussels’ Grand Place. 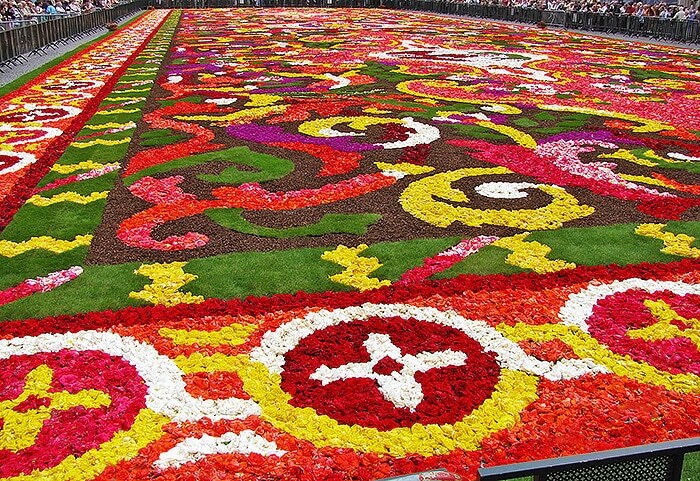 Crafting this carpet is no easy task and takes nearly 120 volunteers positioning close to one million begonias within a four hour time span. Talk about having a green thumb! Make sure to mark your calendars, fill in that iCal, set a reminder, or do whatever it is you have to do to check out Brussels’ next unveiling on August 15, 2012. We laid this monumental event on you over a year in advance to make sure you have ample time to plan that European getaway full of creamy Belgian chocolate, hand-crafted Belgian brews, and of course, begonias, begonias, and more begonias! 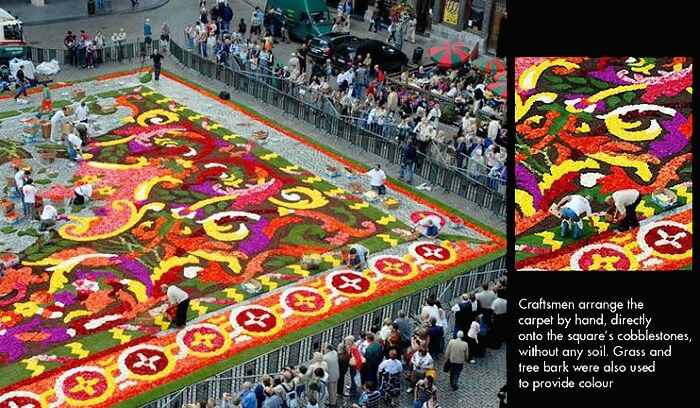 This Rug related blog post about the Brussels Biennial Flower Carpet Was Published by Nazmiyal Antique Rugs which is located in the heart of Manhattan in New York City. 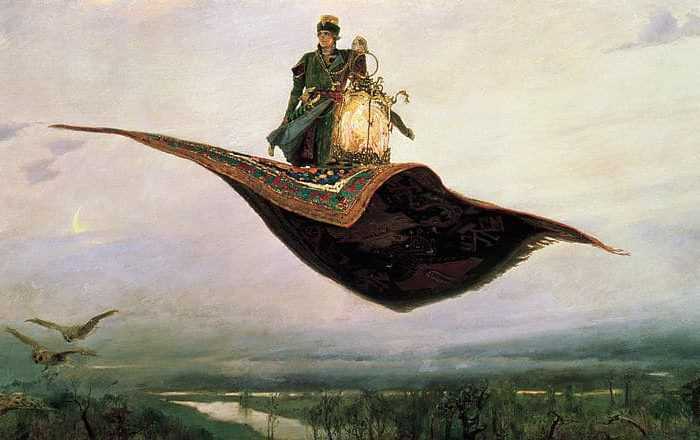 Magic Flying Carpet – Legend or Fact?